Many people take vitamins, exercise and eat right to maintain a healthy body. However, what about your teeth? They need tender loving care to stay healthy and strong as well. 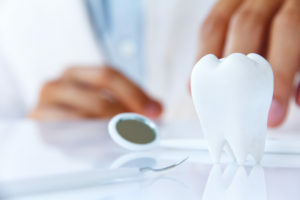 Most people either don’t realize how much care they need to give their teeth, or they forget because of busy schedules. However, building strong teeth for life only takes a few minutes of your day to achieve. Your teeth need daily brushing, flossing and other care to keep them free of damaging substances. You also need dental appointments, oral cancer screenings, a healthy diet and more to avoid tooth loss and oral health problems. 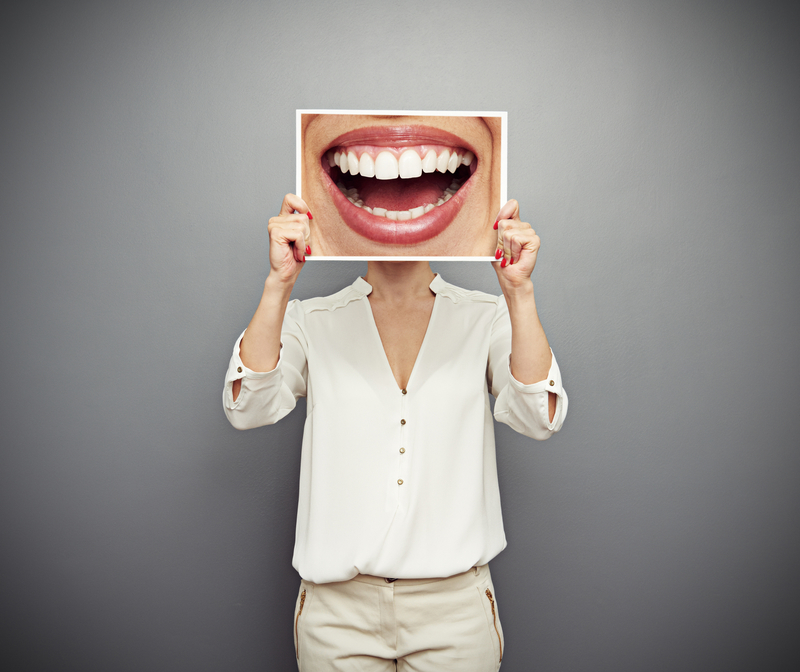 Follow these simple guidelines to keep your smile healthy for life! Many people simply assume that the teeth are bones, but they actually are not. Your bones and your teeth are some of the hardest tissues in your body and are made of calcium and phosphate. However, your teeth are actually harder. Bones have spongy insides, but teeth are 96% hard mineral. That’s why you can exert up to 200 pounds of pressure when you chew according to the ADA. However, no matter how strong teeth are, they can’t repair themselves when they become damaged. Your teeth are some of the strongest parts of your body, but even the strongest materials can become weak over time. Generally, poor oral hygiene habits are what weaken your teeth the most. Genetics can give some patients weak enamel, but 99% of the time the problem is your hygiene. Tooth decay is so common among American children and adults, that the National Institutes of Health consider it to be the most “prevalent chronic disease” around. You get this disease by simply not brushing and flossing enough. Sugar plus saliva makes plaque, and that plaque sticks to your teeth and decays them. People who don’t brush or floss their teeth can expect to have problems with tooth decay, bad breath, gum disease, tooth loss and more. Bottom line: brush your teeth and do it every day! A person can drink 3 candy bars’ worth of sugar in a single soda without realizing it. That’s why it’s always important to check labels and choose foods free of sugar or very low in sugar. Not only with that sugar rot your teeth, but it will cause you health problems. Low or zero sugar yogurt. These are high in calcium. Dairy products such as cheese and milk. Dairy contains high amounts of calcium, proteins and other minerals for building strong teeth. Water. Sports drinks, sodas and juices are full of sugar. Crunchy, high-fiber foods. Celery, carrots, and apples are some of these foods that can help scrape particles off your teeth as you eat them. Leafy greens. These are full of so many vitamins that they can significantly help your oral health and overall wellness. Also avoid tobacco use, as tobacco quickly damages teeth and causes oral cancer. You need to eat well to have strong teeth, but you also need to be cleaning your teeth meticulously. Every person must brush and floss their teeth or they will get tooth decay. It’s inevitable without those basic oral hygiene habits. The American Dental Association recommends brushing the teeth at least twice a day to keep them free of plaque. If you brush your teeth after every meal and teach children to do the same, the risk of tooth decay goes down even more. Adding fluoride to your hygiene routine makes teeth stronger, as this mineral provides a shield for your tooth enamel against sugars, acids and other harmful substances. When choosing toothpastes, mouthwashes and more, look for products with fluoride in them. Flossing is often overlooked by many people, but it too is essential to keeping your teeth strong, especially with braces. Food and drink pass through your teeth everyday. When you chew, food is lodged in cracks with every bite. You can clean your teeth front and back, but don’t forget about the spaces in between. Flossing dislodges food that would otherwise decay and weaken tooth enamel. If patients floss all the way up in their gum line on both sides of each individual tooth, they remove hidden plaque that causes gum problems. Using floss to scrape down the teeth as you go is a great way to remove anything that coats the tooth surface. If you don’t do anything else, make sure you and your children at least follow these basic oral hygiene habits. To learn about more oral hygiene habits you need (like visiting the dentist), call Belmar Orthodontics today at (303) 225-9016!